My Name Is Maurice “Moe” Lloyd. I was born in Daytona Beach, Florida and attended Mainland High School where I graduated from in 2001. After graduation I went to the University of Connecticut on a Football Scholarship. While playing football for the University of Connecticut, I had the privilege of helping the 2001 Huskies bring home the Motor City Bowl trophy back to UConn. During that game I was able to collect 19 tackles and one sack which made me a stand out during the recruitment period the following season. 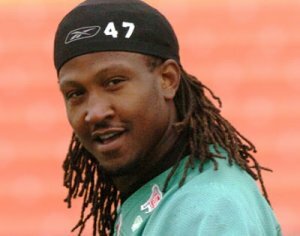 I was recruited to play in the Canadian Football League (CFL) for the Saskatchewan Roughriders from 2006-2008. I graduated from the University of Connecticut in 2005 with Psychology degree. After graduation, I took my talent to the next level and played 5 years of professional football in the Canadian Football League. In 2007, we won the Grey Cup (the equivalent to winning the Super Bowl in the NFL), I was a CFL West All-Star 2007 and 2008, and was also a CFL All-star in 2008. 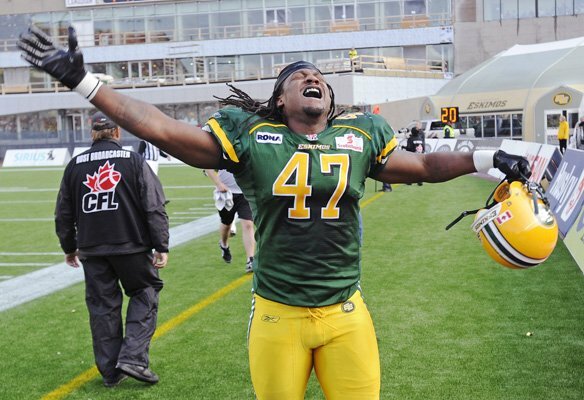 In 2009, I signed with Edmonton Eskimos and played two seasons with that team. After nearly 20 years of football at all possible levels, I decided to hang up my helmet. Despite leaving professional football, I wasn’t entirely ready to give up the game that was ingrained in my blood. I started coaching high school football, and was able to not only enjoy the game but make a bigger impact helping young teenagers become young adults. I feel some of my biggest accomplishments are helping student athletes graduate from high school and prepare themselves for the real world. We are a team of serious cash buyers in Connecticut, that buys houses from home owners no matter what circumstances they may be facing. We are honest, direct, and have no intention to waste your time. We mean business and we are here to make good offers so we can get contracts signed. Lowball offers are a waste of our time and we wouldn’t dare to waste yours. It takes time and effort to do a market analysis and when we devote time to this effort we will make sure our offers are attractive so they will get accepted. This means we make compelling and realistic fair offers! Do You Need To Sell Your Home In CT Fast For Cash? If so you really found the perfect team. We are hard working and we will try our best for you to be satisfied with our services. Fed Up Being A Landlord? Don’t sweat it. Whatever your reason may be, if the solution is you need to get rd of it without having to give it away, we will make you a fantastic offer! I have developed a passion for flipping houses and now we are doing this professionally. We are always looking for houses to buy and rehab so if you have a house you want to get rid of, there is no better person to call. Give us a shot! We are part of the Noorden Estates LLC Network, the Top ranking (yes we actually ARE the top ranking) House buying team in Connecticut. You want to know if we are real, credible, honest, and most importantly you want to know if we can really buy your house and close on the date we say we will. Yes we can. We are serious cash buyers in Connecticut with the money to buy your house in cash, and fast! But we totally understand that everyone can talk a good talk. We are a duo of cash buyers, flippers, and rehabbers that have a passion for real estate. We buy houses in Connecticut, rehab them and put them back on the market with hopes to sell it at a profit. There are enough deals out there. We are not desperate and certainly are not greedy. We do not need to make a fortune from every single house we buy. We rather buy many houses and make a small profit per house than buy 1 house every year and make a huge profit. This business model ensures low risks for us, and higher offers for you! We can tell you a soppy story about how justified and noble we are, making neighborhoods pretty again with each house we rehab, or what we do with the money once we make it (and believe us we do have a noble cause), but we think what is more important here is that you feel we are trustworthy from our actions, and how we treat you. And that is what we rather focus on!